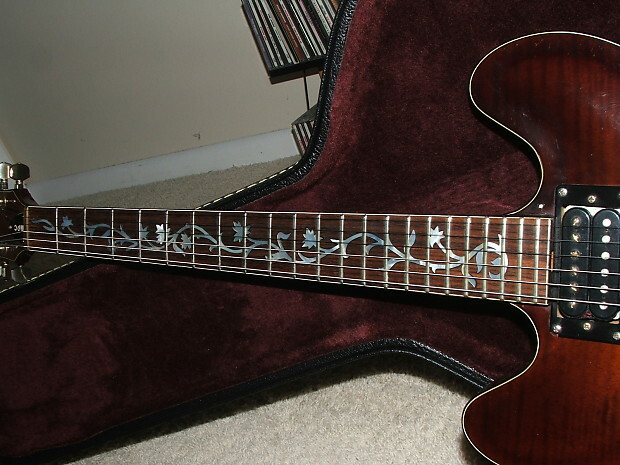 Beautiful vintage Electra X-810 Tree of Life Guitar. My best guess is this guitar was manufactured late 70's early 80's. maybe someone out there can give me a hand. 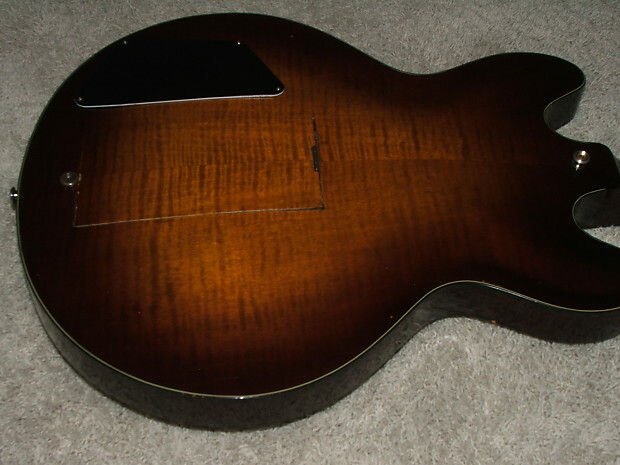 Guitar is in excellent vintage condition showing very little play ware. 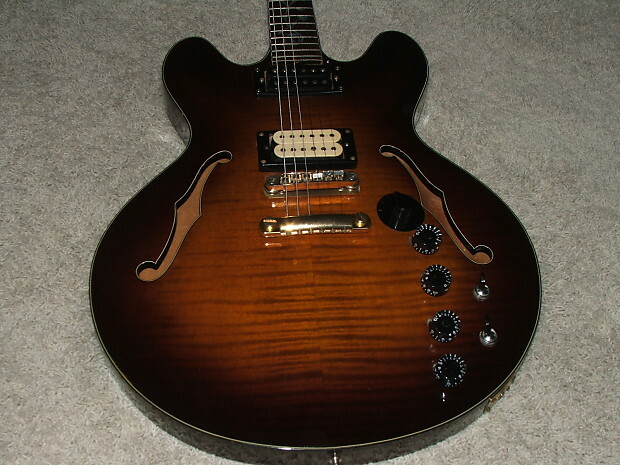 A beautiful vintage antique amber finish, it's basically an ES-335 clone. 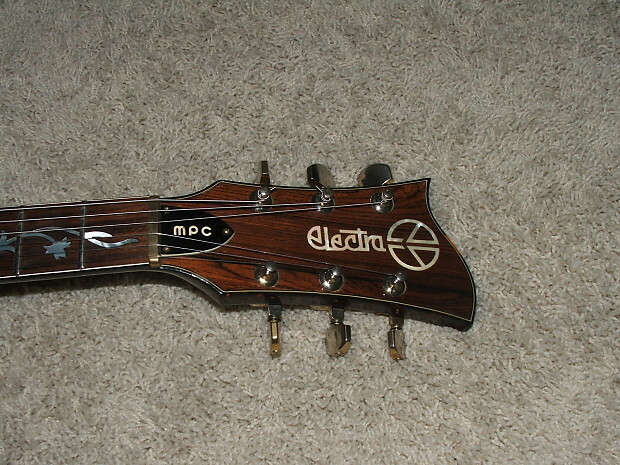 These vintage electra's are climbing in price as people are figuring out what great guitars these are. On board electronics, includes 2 modules, phaser and power overdrive. 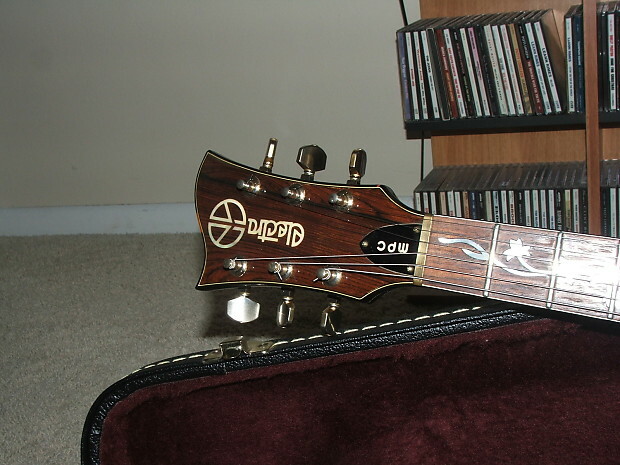 The pick guard is removed as almost all have, the pick up covers are off. 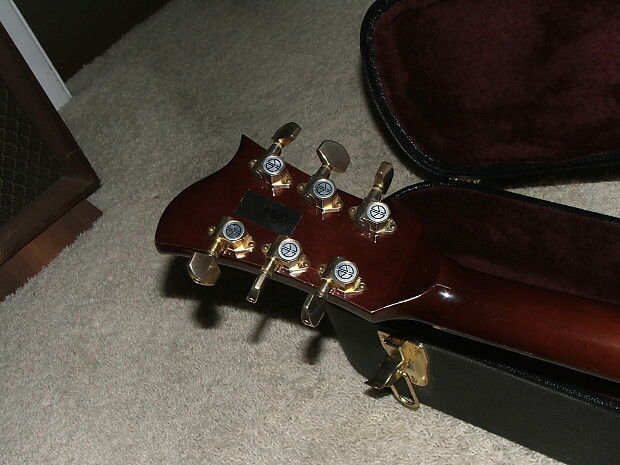 Neck pick up may or may not be original to the guitar. Bridge pick up is a Demarzio. There is a small chip out of one of the pick up retainers. All electronics work as they should with no static. 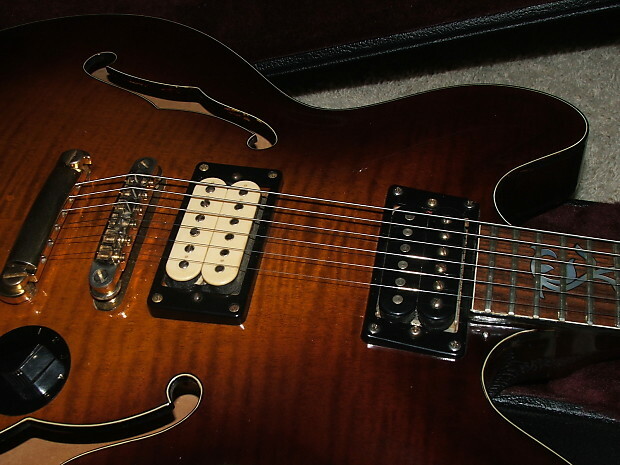 A rare, gorgeous, great playing vintage guitar. Ships in a non original hard shell case. 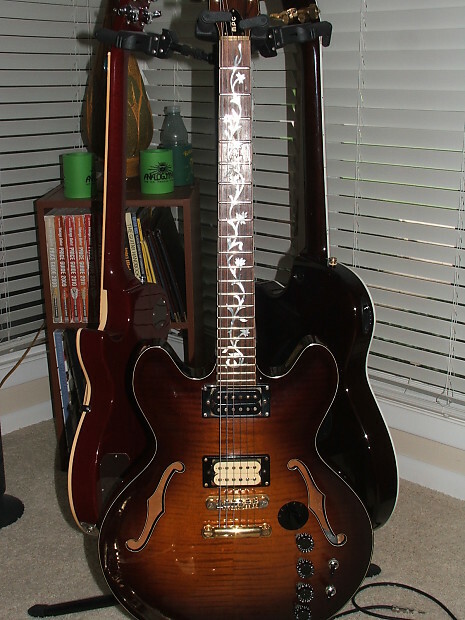 This would be the perfect worship guitar or a rocker for anyone wanting a little extra attention. I ship Fed-Ex ground fully insured to the lower continental United States only. 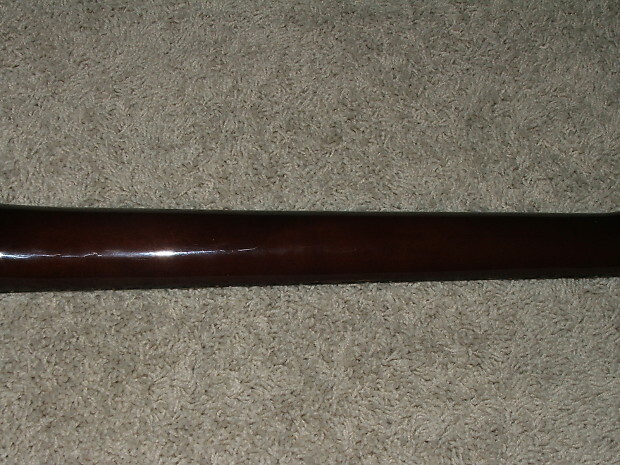 Shipping may be higher for larger or heavier items.